Hoi An Ancient town is located in Viet Nam’s central Quang Nam Province, on the north bank near the mouth of the Thu Bon River. Hoi An Ancient Town was classified as a National Cultural Heritage Site in 1985 and subsequently as a Special National Cultural Heritage Site under the Cultural Heritage Law of 2001 amended in 2009. Every year, Hoi An town attracts many domestic and foreign tourists coming to stay and visit. Many companies now provide buses which transfer directly from Danang to Hoi An. Transferring to Hoi An by bus seems to be a cheap and fast way. Especially when you go with a big group and don’t want to waste much time transferring. However, if you transfer by bus, you can’t stop on the way to visit some famous places on the way, such as Marble mountains, Linh Ung pagoda of Son Tra, My Khe beach, Dragon bridge… It’s a great regret for tourists who can’t visit these places. In addition, because there are too many people in one bus, it seems to be too crowded and not to be suitable for tourists who want to have private space. Riding a motorbike from Danang to Hoi An is really a good idea for tourists who like discovering and controlling their trip by themselves. Traveling by motorbike, tourists can also stop anywhere they want, so they can manage their time and have much time to visit many interesting places on the way from Da nang to Hoi An. Easily renting a motorbike in Da nang with the best price and easily transferring to Hoi An, tourists can totally control their trip. Despite these advantages, transferring by motorbike also has some disadvantages. It requires tourists to have many skills such as motorbike-riding skill, map-reading skill, problem-solving skill,..They also have to know how to repair a motorbike in case it is broken down on the way. It’s also not suitable for tourists who can’t ride a motorbike for a long time and long distance. Booking a private car from Da nang to Hoi An is the best way for people who want to travel in a small group or have private space with their friends or family. With a private car, tourists don’t have to worry about anything. The driver can speak English, he can help you with every problem on the way. He can also stop for tourists to visit Marble mountains, Ling Ung pagoda,…and other places which tourists want to visit. Private car is the safest way to transfer from Da nang to Hoi an. The price for a car is appropriate and depends on how big it is. Transferring by private car is a combination of transfering and visiting. 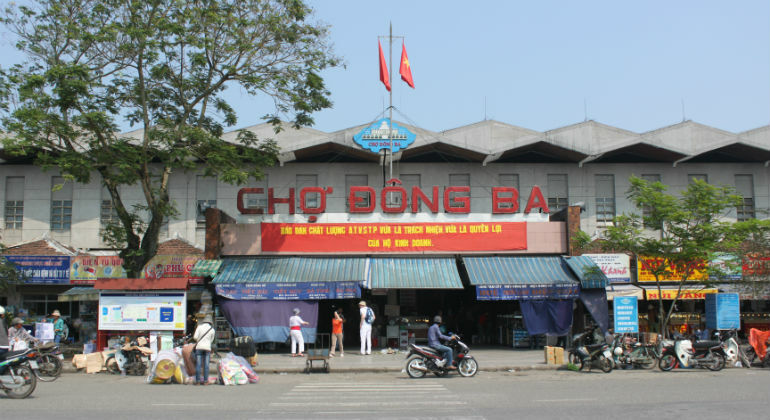 It is worth being considered the safest and the most convinient way to get to Hoi An from Danang. Now, think carefully and choose the best mean of transportation to help you transfer to Hoi An from Danang easily. Don’t hesitate to call us, VM Travel, when you need to transfer to Hoi An. We are willing to bring you the best service.